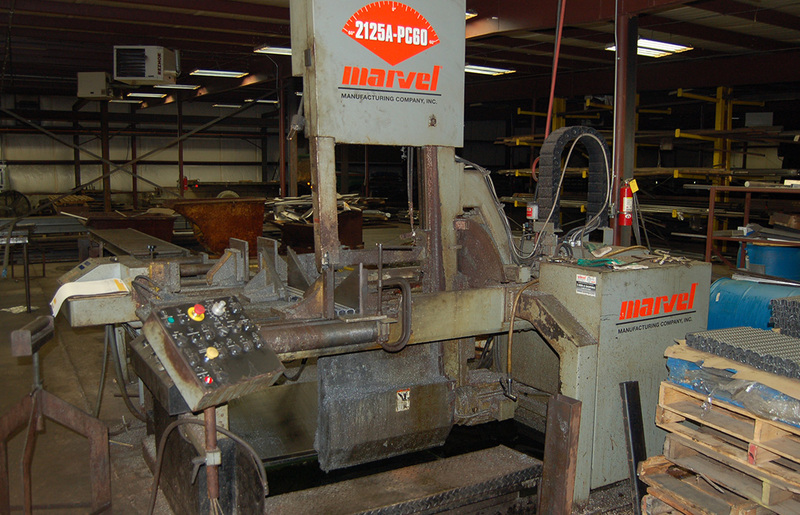 Penn Metals uses various automatic saws to cut raw stock to size. They include a Porter automatic circular saw and 3 automatic horizontal bandsaws. The automatic bandsaws all have automatic feeding vices which allow long raw extrusions, pipe, and tubing to be continuously fed into the saw. The automatic feeding vices allow a high volume of parts to be cut out of a long raw stock with a high degree of accuracy and almost no variation between the sizes of any of the cut parts. Penn Metals also uses two vertical bandsaws with shop-made jigs. Raw stock can also be cut using a Trennjaeger cold saw which can cut any grade of steel or aluminum and can also be set to cut slots part way through any material.